Recently, the Bank of Canada voiced concerns about the Canadian economy, leading it to slash outlooks on future trends. One of the issues contributing to this pessimistic stance is the condition of housing markets in Canada. Housing construction and prices are falling after a long period of price increases that fuelled claims of a housing bubble. Yet there’s little the bank—or the federal government, for that matter—can do. The real responsibility lies with provincial and municipal governments. If there are any housing policy courses to follow in the near future, it should come from them. Generally, talk about housing bubbles is cheap because bubbles are hard to predict and easy to mistake for something else. However, when they do occur, there’s a certain combination of conditions that allowed them to materialize including, obviously, high demand for real estate. However, more elements are needed. One element sure to worsen things is a restricted supply of real estate. Normally, the supply of housing in any market is relatively fixed in the short term. If there’s an increase in demand, for some reason or another, then rents and home prices will increase. However, these higher prices send the signal that it’s a good idea to increase the supply in the long run, which will bring prices down. If construction is easy and quick, there will not be a great change in prices. In these situations, economists have documented that bubbles are fewer in numbers and occurred on much smaller scales. However, if construction is restricted and costly, prices will increase much more, giving way to more bubbles on greater scales. Homebuyers have expectations about future prices, which in turn depend on how easy it is to build. Where it’s hard to build, those who contract a mortgage do so believing that prices will keep increasing. Because they believe prices will keep increasing at a brisk pace, they believe they can tolerate a larger mortgage. Where it’s easy to build, homebuyers do not expect prices to change as much and are not as willing to tolerate the same mortgages as homebuyers in areas where it’s hard to build. Once the bubble bursts, the decisions of homebuyers in the hard-to-build areas necessitate a harder correction than in the easy-to-build areas. This is what, in turn, leads to balance sheet crises that may turn into an economic downturn. This is what, in turn, leads to bankruptcies and housing foreclosures that can morph into severe economic recessions, as happened in the United States in 2008-2009. As noted by the Fraser Institute and others, the factors that affect the supply of housing are largely controlled by provincial and municipal governments. Zoning laws, construction building codes, regulations of construction trades all fall under the jurisdiction of these governments. All of these things control the degree to which it’s easy or difficult to build. The result can be seen if we look at the different metropolitan areas of Canada. The agglomerations with the strictest regulations limiting land uses (e.g. converting commercial areas into residential areas and vice versa) are the ones that have the lowest rates of housing stock growth. 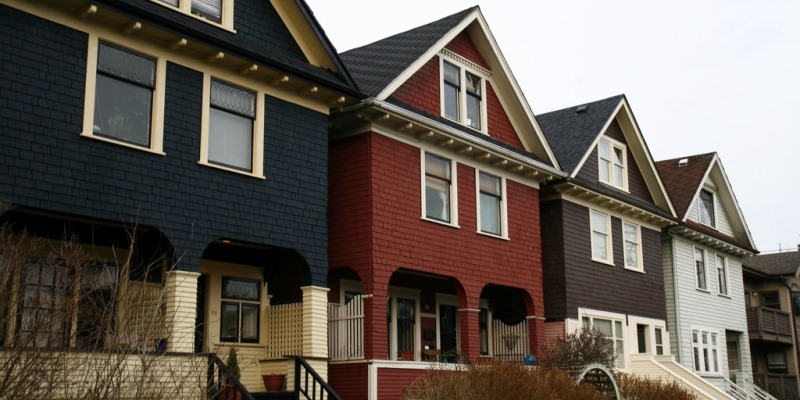 They also have become eponymous of the housing bubble in Canada—Vancouver and Toronto. Again, we saw similar trends in the U.S. before its housing bubble burst in the late-2000s. The areas with the largest price increases were the most regulated ones—California and New York. The areas that barely registered a blip on housing markets were those with the lightest regulations such as Texas. Thus, if one is worried about future growth in Canada because of the housing slowdown, look to the provinces and municipalities. They have the ability to kickstart that portion of the Canadian economy by easing land-use restrictions. This would be particularly helpful for the urban areas around Toronto and Vancouver. In other provinces such as Quebec, where the construction trades are heavily regulated, deregulation of the construction sectors could help drive down construction costs and thus increase the housing supply.